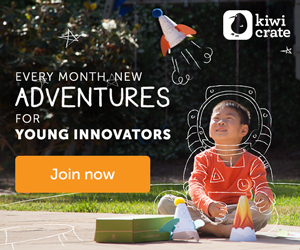 Family Fun Complete Mosaic Kit Giveaway! Plaque, Tiles, Grout & Glue! $70+ RV! Milltown Merchants is the #1 destination for choosy crafters everywhere! Explore their store for an unbeatable selection of mosaic bases, tiles, and supplies. Be sure to check out their full line of MADE IN THE USA shapes! Disclosure: Love, Mrs. Mommy and all participating bloggers are not held responsible for sponsors who do not fulfill their prize obligations. 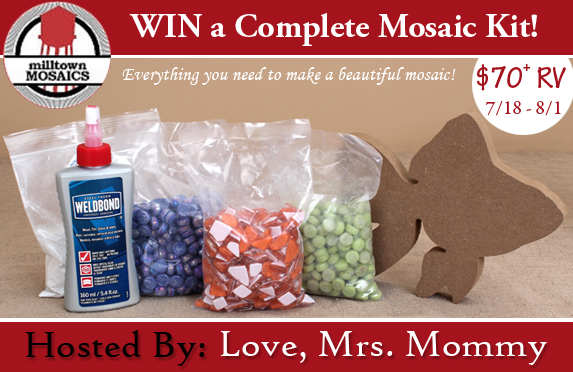 Love, Mrs. Mommy did not receive monetary compensation to host this giveaway, however LMM did receive mosaic supplies. This giveaway is in no way endorsed or sponsored by Facebook or any other social media site. The winner will be randomly drawn by Giveaway Tools and will be notified by email. The winner has 48 hours to reply before a new winner will be drawn. If you would like to participate in an event like this please contact LoveMrsMommy (at) gmail (dot) com.